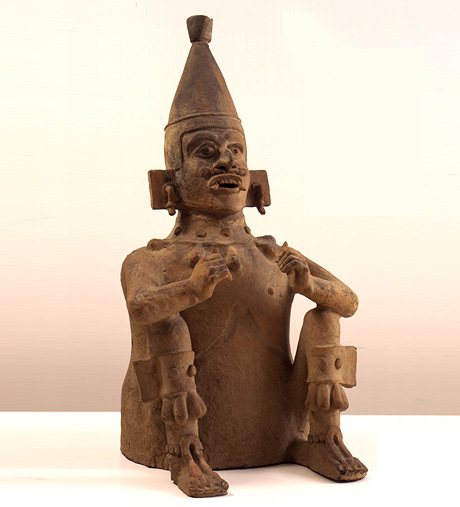 Vincent Price Art Museum’s permanent collection includes artworks from ancient civilizations in Central and South America, with a concentration of art from West Mexico and Peru. 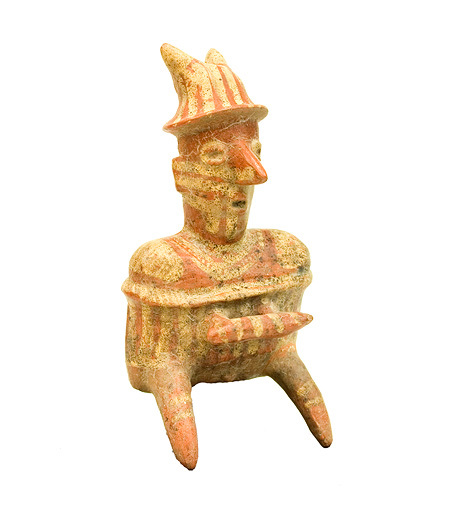 Form and Function in the Ancient Americas highlights the wide range of cultures represented in our pre-Columbian collection. Cultures from the Nayarit-Jalisco-Colima region of West Mexico (2000 – 1000 BCE) to the Chimú of Peru (900-1500 CE) are featured. Our permanent collection originated in the early 1950s when actor and long-time Los Angeles arts advocate, Vincent Price, began to donate artworks from his own collection to what was then the on-campus art gallery at East Los Angeles College. 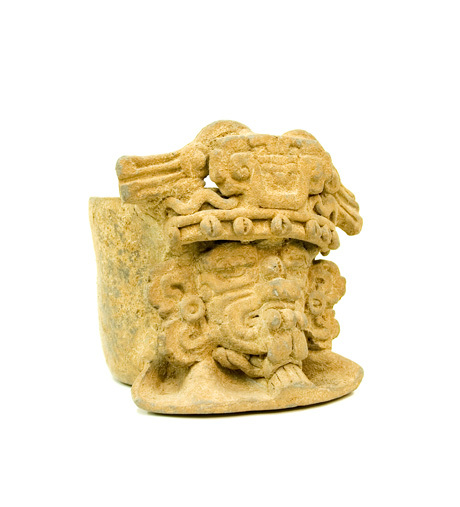 Price collected pre-Columbian art in the mid-20th century as international interest in these early civilizations grew. He was among many other cultural dignitaries around the world, such as Mexican artists Diego Rivera and Frida Kahlo, who collected these works. Initial research for this exhibition was conducted by Leslie Jacobo. Further research was conducted by Teresa Diaz, VPAM’s former Collections Manager. Vessel, ca. 1000-1476 CE, polychrome on ceramic. Chancay, Central Coast, Peru. VPAM Permanent Collection, Gift of Vincent Price. Vessel, ca. 180 CE - 500 CE, polychrome on ceramic. Nazca, Southern Coast, Peru, VPAM Permanent Collection, Gift of Vincent Price. Funerary Urn, ca. 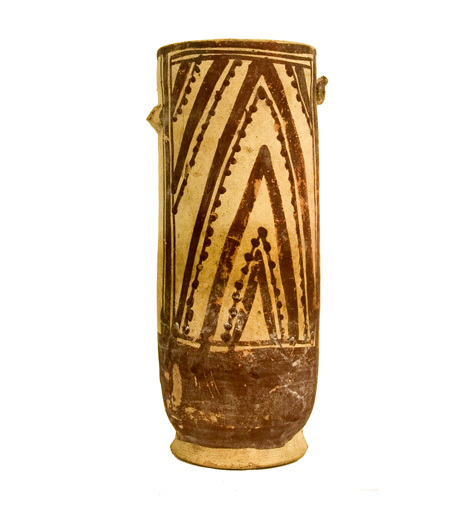 200 - 900 CE, ceramic. Zapotec, Oaxaca, Mexico VPAM Permanent Collection, Gift of Vincent Price. Incensario (ritual censer), ca. 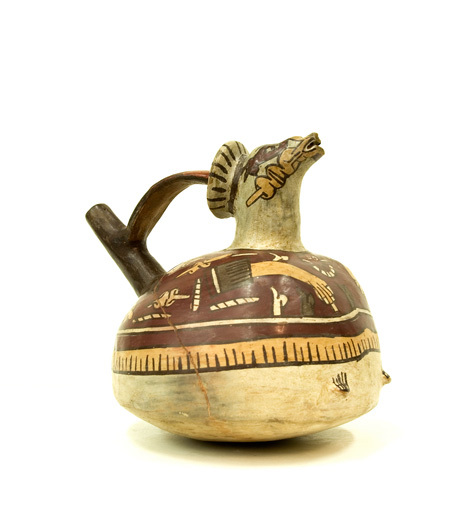 200 - 600 CE, ceramic, Veracruz, Gulf Coast, Mexico VPAM Permanent Collection, Gift of Daniel Melnick. Figure, ca. 100 BCE - 300 CE, polychrome on ceramic. Nayarit, West Mexico VPAM Permanent Collection, Gift of Vincent Price.